• Tobacco use: A direct link between smoking and cancers of the lung, mouth, larynx, cervix, and esophagus has been established. Tobacco use includes cigarettes, cigars, pipe smoking, chewing tobacco and inhaling tobacco (snuff). • Obesity, diet & exercise: Obesity is a risk factor for cancers of the breast, colon, prostate, uterus and gallbladder. Nearly one-third of all cancer deaths are related to a combination of dietary factors and lack of physical activity in adulthood. • Alcohol and drugs: The excessive use of alcohol and addictive drugs weakens the body's defense system, making it difficult to fight cancer. Alcohol is a risk factor for cancers of mouth, colon, pancreas, liver, esophagus. • Ultraviolet (UV) radiation: Exposure to UV rays from the sun increases the risk of skin cancer. • Age: The risk of many cancers, such as breast, prostate, colorectal, increases with age. 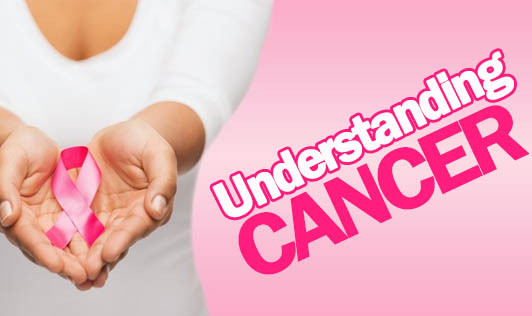 • The family history of cancer: Ovarian and breast cancer are two common examples. Women with a mother or sister who has had either disease are more likely to develop the disease themselves. • Gender: Many cancers show equal prevalence among gender lines, while some are exclusively specific to male or female. For example, men are at risk for prostate cancer and women are at risk for breast cancer. • Infectious exposure: Some forms of cancer may be related to exposure to viral or bacterial infections. The bacterium Helicobacter pylori that causes peptic ulcers is also associated with stomach cancer.